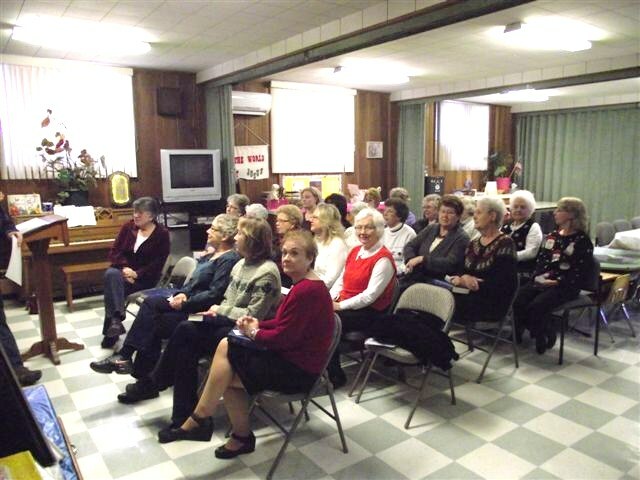 LWML women listening to Pastor Thomas at their annual Christmas party meeting. 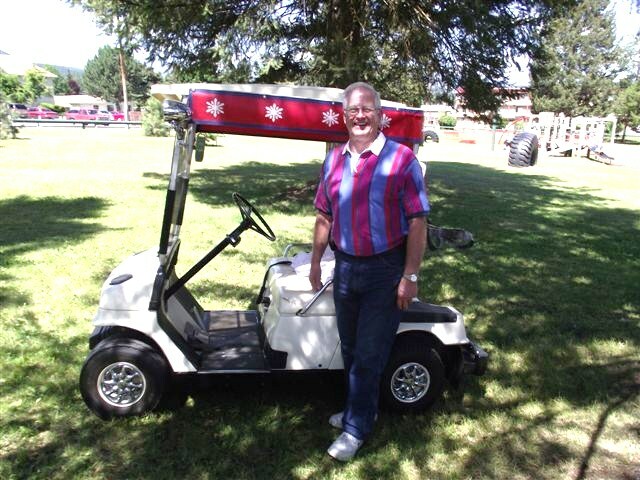 Pastor Thomas at LWML 2011 meeting. Fun was had by all at the LWML Christmas party. 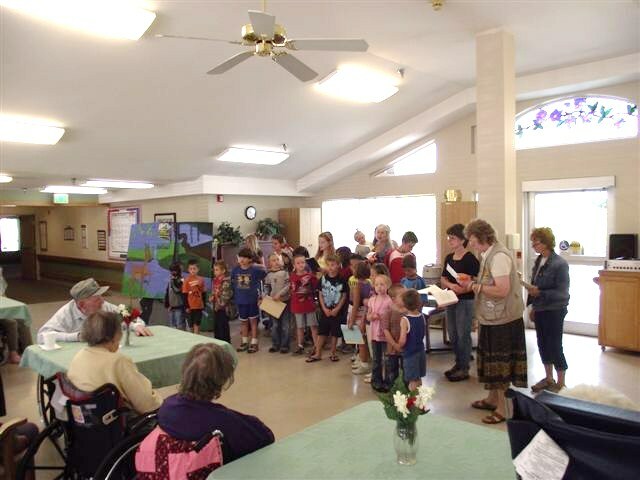 Thankfeast at St John Lutheran Church. 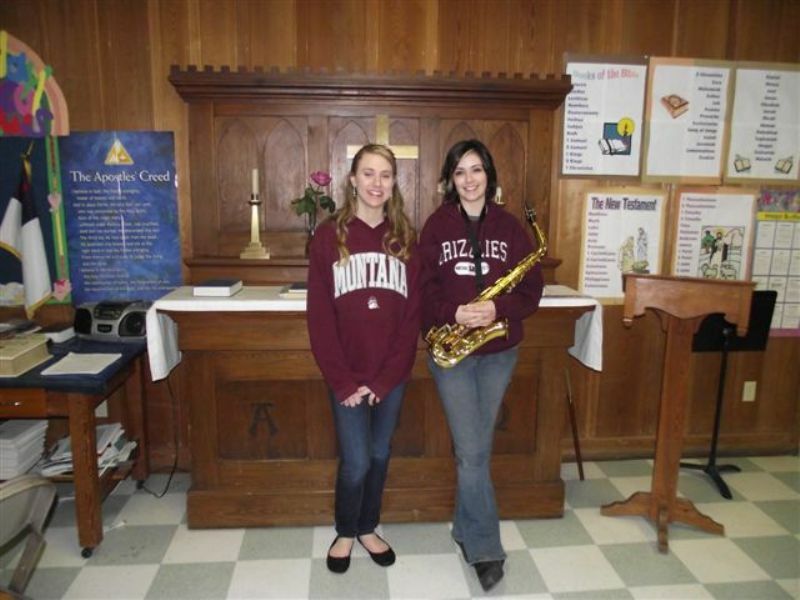 Ashley Neisess has returned from the service and will start college at UM at Missoula. 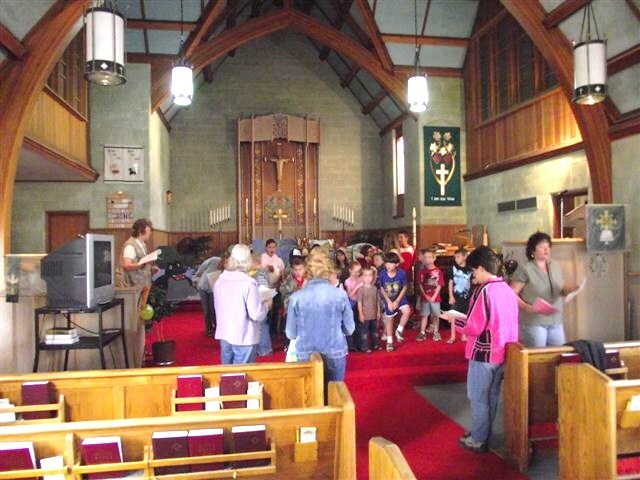 Sunday children singing on Reformation Sunday. Adult Choir singing on Reformation Sunday. Rev.Ted Nathalong from the Lutheran Heritage Foundation was at St John to help celebrate Reformation and speak about the work of LHF. 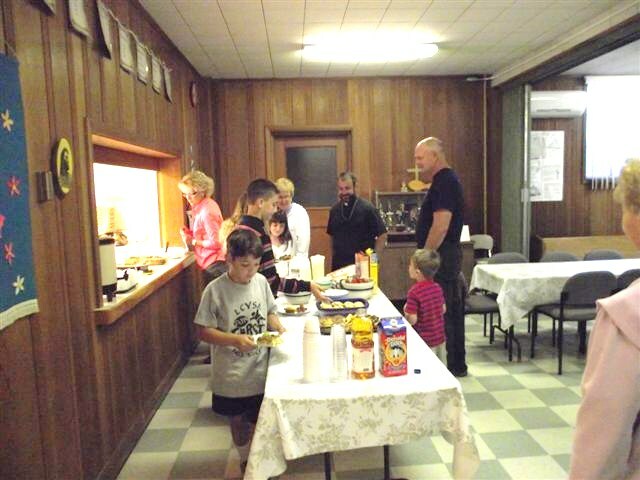 Breakfast by Sunday School staff and children. 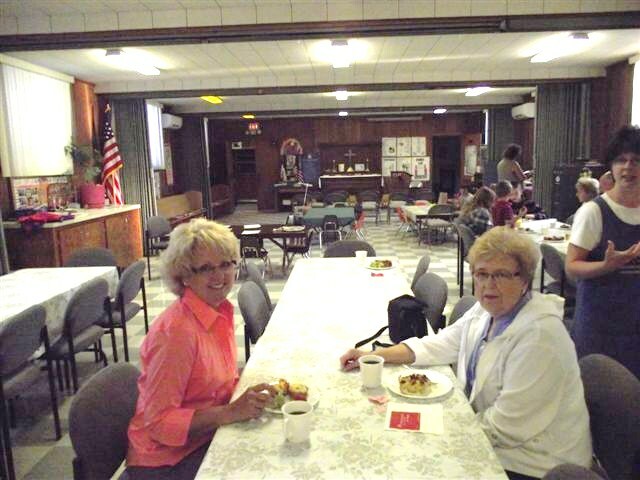 Debbie Mickelson & Wilma Dawson at the Sunday School breakfast. 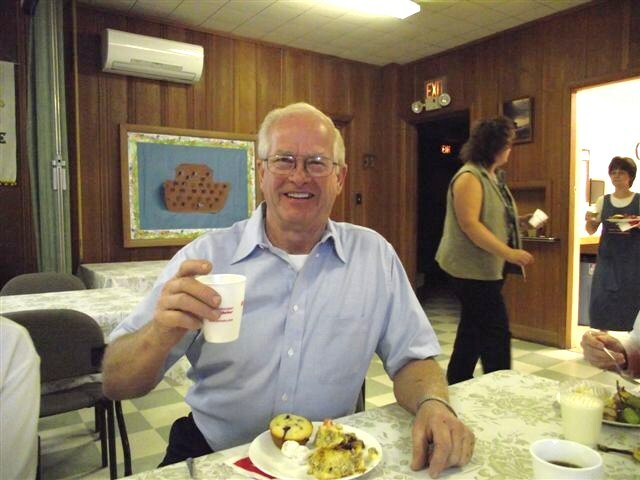 Bill Dawson Stewardship chairman ,at the breakfast, before Bible class. (Kenni's note -- isn't this a great picture of Bill! Charlene Snyder and Lisa Thomas are in the background). 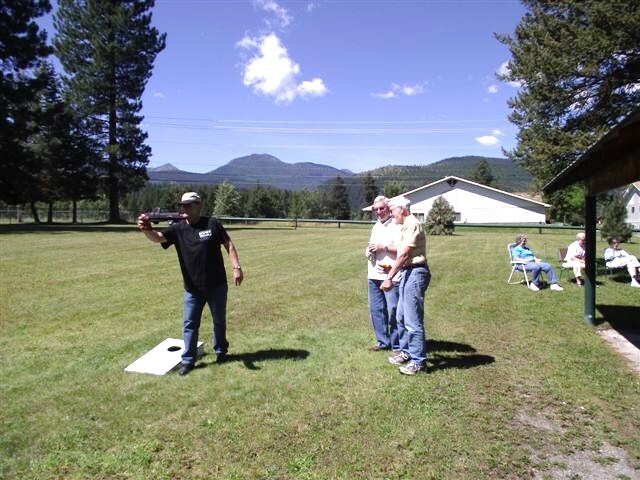 The Thrivent picnic was held at Libby Dam Lake Koocanusa. Members from Libby and Eureka enjoyed the fellowship and great weather. Pastor Thomas and Pastor Tabbert enjoying a relaxing day at the picnic. Stewardship Chairman Bill Dawson thanks all the members and non members of St. John for making the St. John Annual Picnic a huge success. 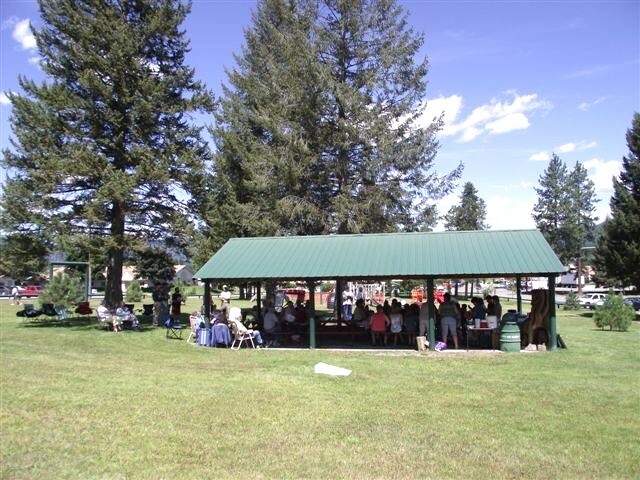 The picnic was organized by the Evangelism Committee under the leadership of Freda Howard. PRAISE THE LORD! The women enjoying the beautiful warm weather at the picnic. The boys(?) having fun at the picnic. 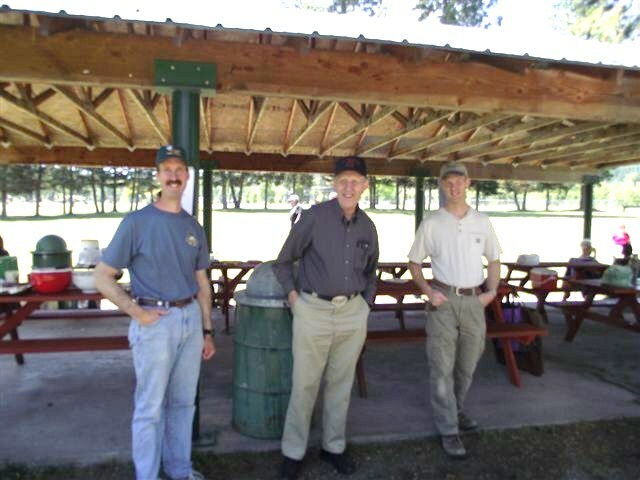 Enjoying the day at the St John annual picnic -- Dave, Nestor, and Jim Schmitt. VBS kids entertaining the folks at the picnic. Good food and fellowship was on the menu for the day!! Freda, Ronda, Melissa,Lisa, and Charlene leading VBS participants in song. 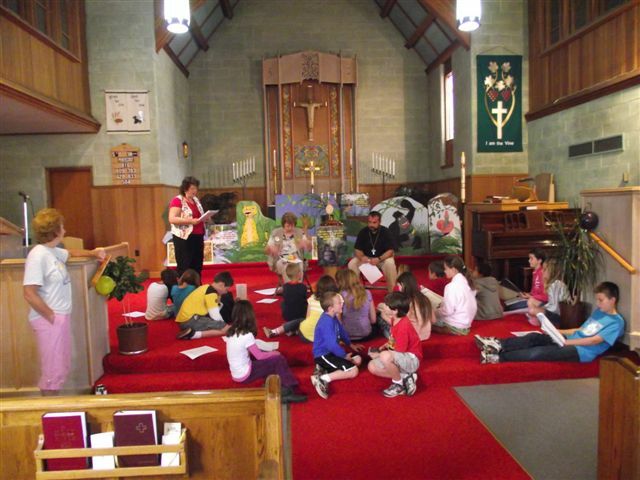 Freda, Ronda, Charlene, and Pastor leading the VBS children in Bible study. Installation of Pastor Thomas at St. John Lutheran Church. Beth Black helping set up the meal after the installation. Pastor Thomas and his family enjoying the food. 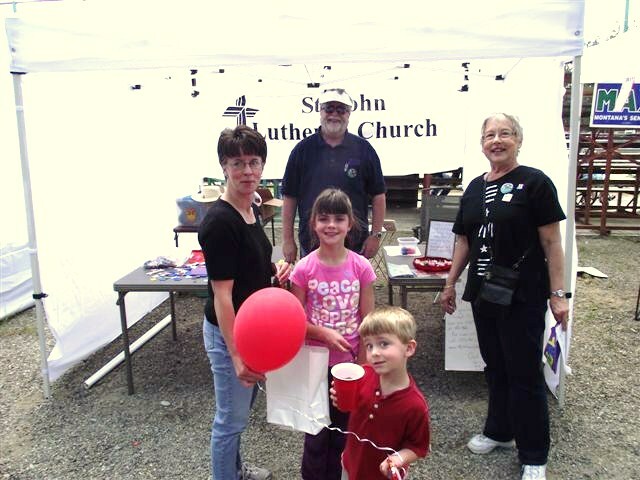 Long time members at St John, Dan Howard, Shannon Howard and Freda Howard. Prayer Quilt presented to Pastor Tabbert for his service as Vacancy Pastor for St John. Ladies of St John doing the fine tuning. The Stained Glass window side of St John Church. Church members are fixing up the shrubs and sprucing it up for Pastor Thomas who will be installed on June 19th. Dan Howard getting a chain around a shrub to pull it out. Or did he just fall DOWN?? Church President Jim Sprecher and Dan Howard figuring out-- what next !! 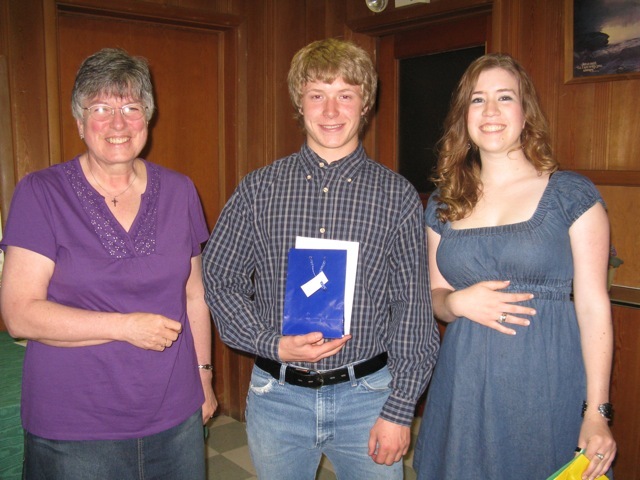 These are two of four high school graduates from St. John who were honored yesterday, June 5th, at St. John Lutheran Church. 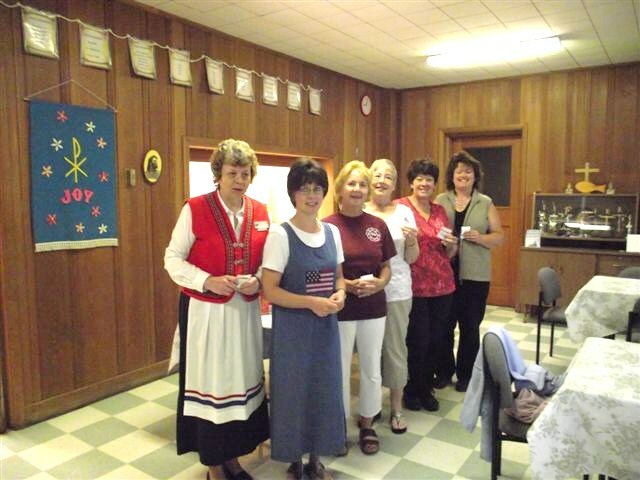 President Mary Maurer of the LWML presented them with a gift and cake and coffee were served. The young man is Barrett Canavan and the young lady is Ashley Neisess. 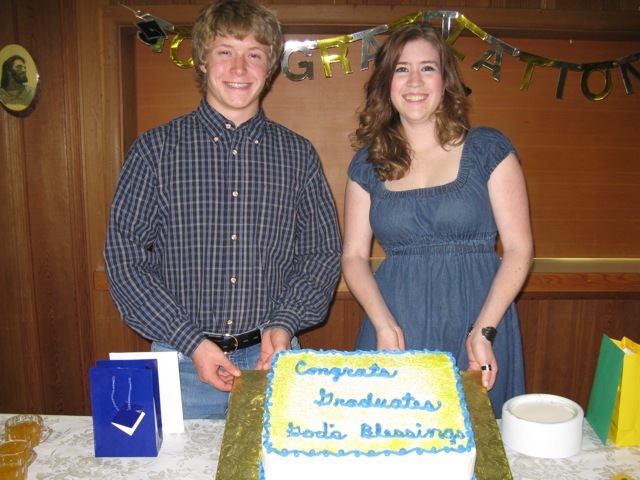 Barrett Canavan and the Ashley Neisess, 2011 Libby High School graduates with the cake prepared in their honor. 5th Sunday of the Month May 2011 " FRIENDSHIP SUNDAY " pot luck at St John--- good food and fellowship --Also a farewell to ANNE HENNINGER a exchange student from Germany. Anne stayed with Scott and Hope Kirschmann for this last school year. Anne attended St. John with the Kirschenmanns while living in Libby. Mary Mauer, President of the LWML at St John presents Anne Henninger a gift before she returns to her home country of Germany. 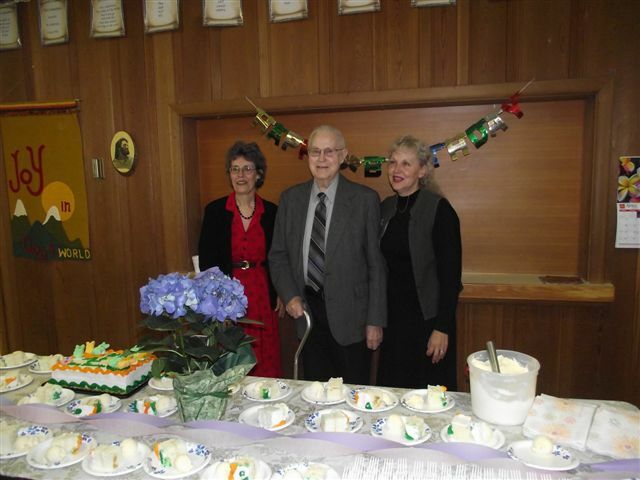 Ben Baker celebrated his 90th birthday at St. John Church! 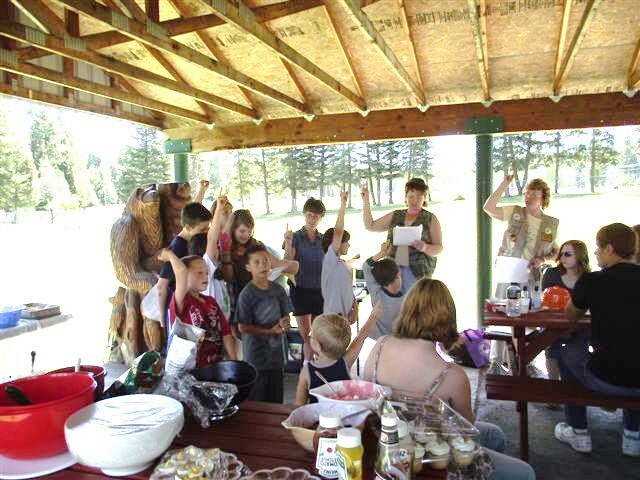 Daughters Melissa Rider & Lynn Osterhaus & families hosted this celebration for Ben & the members of St. John Church on Sunday April 3rd. Mr. Baker turned 90 on April 7th. Mr Ben Baker has been going to St John for 90 years. Getting to renew aquaintances and make new friends. 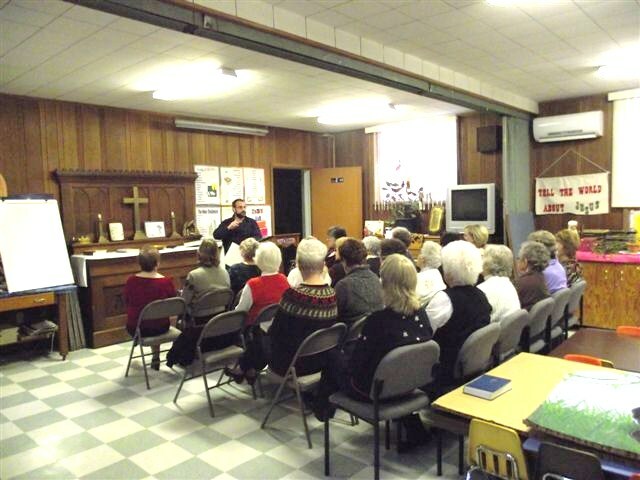 A group of awesome Christian ladies of St John Lutheran Church. 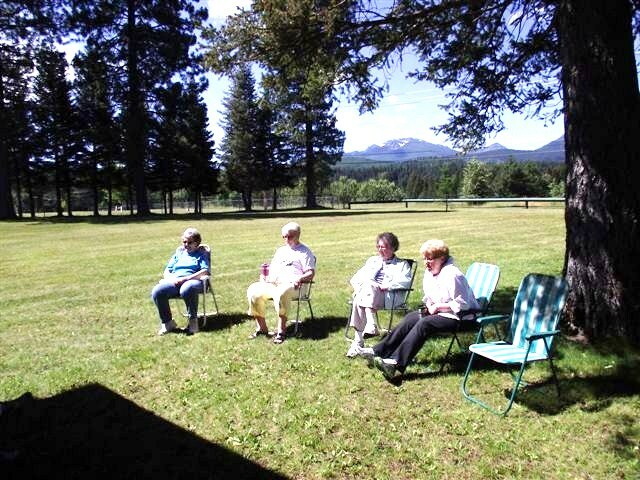 From left to right: Wanda Morris, Debbie Mickelson, Wilma Dawson, and Jean Struck. Jan Erickson -- good food for a great Lutheran potluck. Here's a kitchen crew at St John---always dishes and a clean up. GOD BLESS THEM !!! Arlene Schmitt and Debbie Mickelson doing dishes. 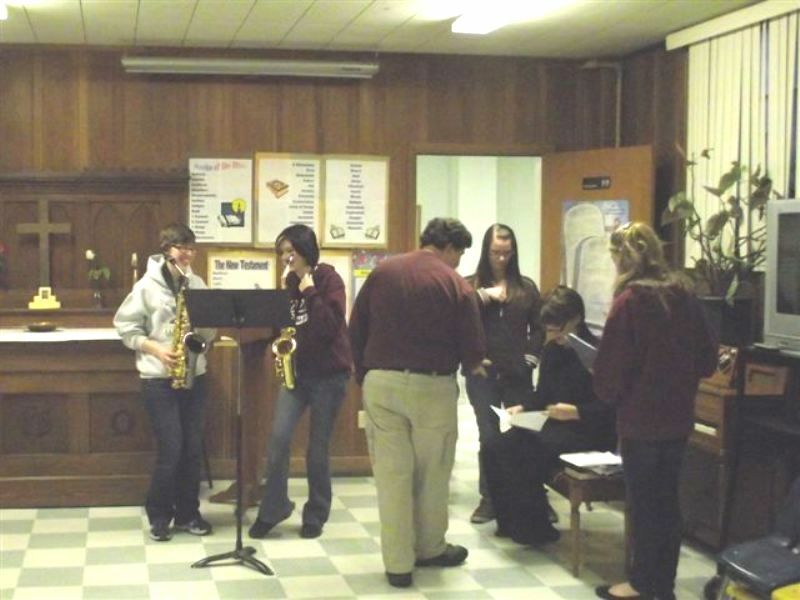 St. John Church hosted a fund raiser for Sarah Kirschenmann and Jasmin Larsen who were selected for All-Northwest music honors. Sarah will perform in the All-Northwest Choir, and Jasmin will perform for the All-Northwest Band in Bellevue, Washington on February 20th. 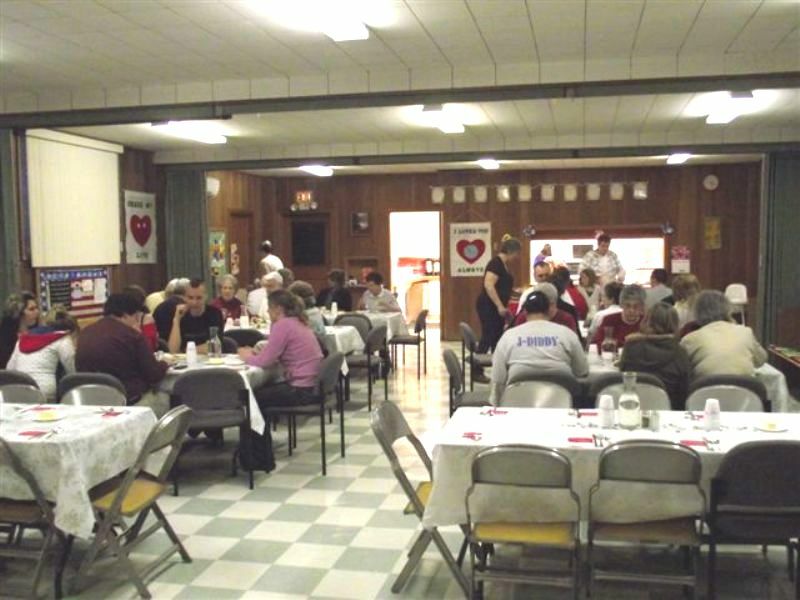 This was a Thrivent sponsored event with members from Christ Lutheran and St. John Lutheran donating food for a spaghetti feed. Thrivent is matching money to help cover the expenses for this trip. 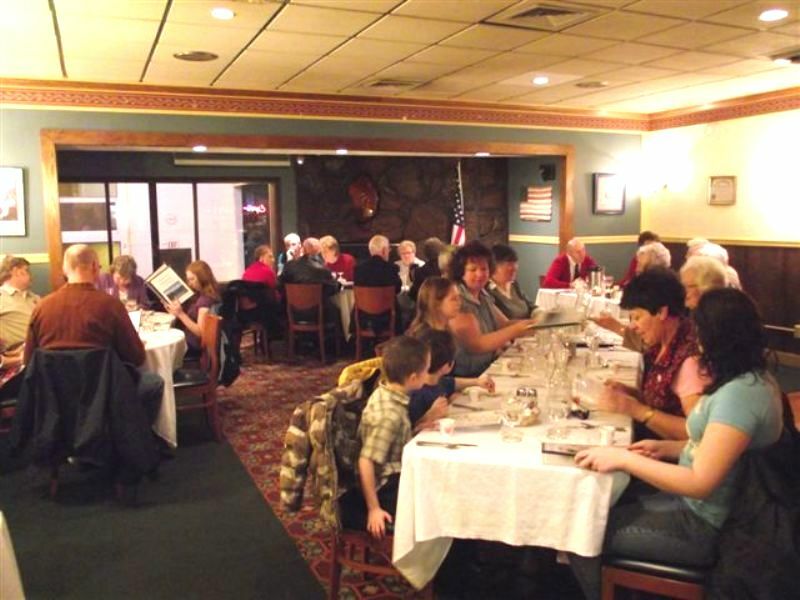 The SJLC Valentine's Party was organized by Freda Howard and held at the Venture Inn. Fun was had by all.